Bermuda has long been known as a fabulous vacation destination for finicky golfers in search of prime courses and exceptional weather or honeymooners looking for pristine beaches and some romantic settings. However in recent years this lush tropical paradise has welcomed adventure seekers and families to its beautiful shores promising an amazing stay. Welcome to Bermuda, the island full of intrigue, adventure and luxury. What to do while in Bermuda may cause you a bit of a dilemma. With so many options and excursions, narrowing it down to a few activities can prove to be difficult. Of course you'll want to spend some time on the famous pink sand beaches, and quite possibly take in some scuba diving or snorkeling and tour the crystal clear waters that surround this impressive island, but make sure you take some time to see what else Bermuda has to offer. Military forts, historic churches and homes, a sweet smelling perfumery and the Royal Naval Dockyard can all be found here. Explore the caves, nature preserves or try out the land and water sports. We dare you to find yourself with any extra time because adventure awaits in Bermuda. Bermuda has long been known as a luxurious vacation destination, so it is not surprising that the hotels and resorts here are impeccable and extraordinary. Cambridge Beaches is an exclusive cottage community resort situated on a private 30 acre peninsula. Perfect for couples or families, this posh colony provides every amenity you could possibly desire from savory meals to relaxing spa treatments. 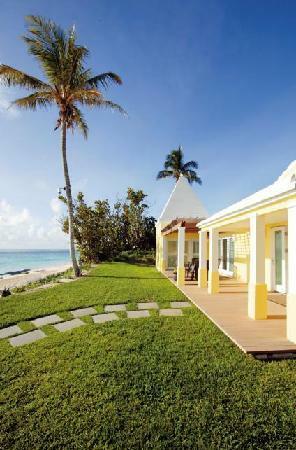 Elbow Beach is another amazing resort that reminds many of the French Riviera. This pretty yellow hotel welcomes guests with every indulgence required for an excellent vacation. Fairmont Southampton is another amazing location located on 100 acres of perfectly landscaped grounds. Golf, a free-form pool, private beach and unforgettable amenities give this hotel an inspiring leg up on the competition. At WhatAHotel! 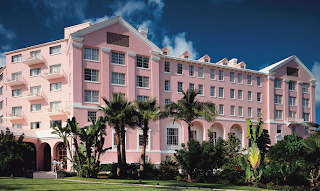 we offer the Best Hotels in Bermuda along with Exclusive Perks and Benefits that will ensure your trip will be absolutely remarkable. 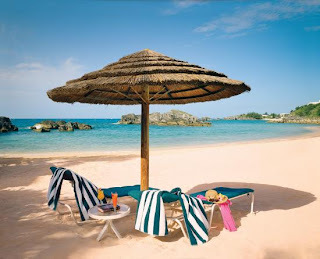 Make sure you check out our Specials located at the right hand side of the Best Hotels in Bermuda page and take advantage of some fabulous deals. Where to eat is at the top of most tourists "need to know" lists when traveling and Bermuda will definitely not disappoint. Every type of dining style can be found here from hole-in-the-wall to trendy high-end restaurants, and the food is amazing no matter which establishment you chose. Fresh fish and seafood are obviously prevalent on most menus and promise an appetizing meal. Many other flavors from around the globe can be found from Italian to Japanese, but try a bit of the local flavor to provide the true island experience. Delight your tastebuds in Bermuda. 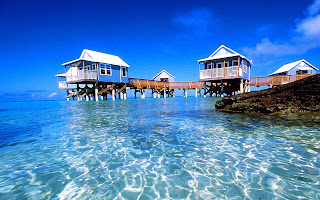 If you are looking for the perfect island vacation destination, Bermuda just might be the place. Known for its friendly people, beautiful surroundings and chic resorts and boutiques, this tropical oasis is calling to you. Answer the call and get ready to indulge in breathtaking Bermuda.